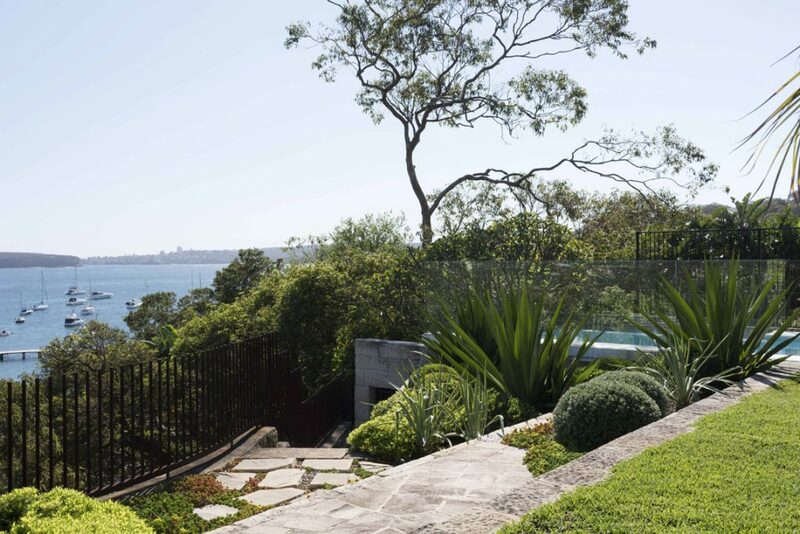 We are inspired on a daily basis by our surrounding architecture, environment and landscape. We endeavour to create spaces that people want to spend time in. Our primary concern is with our clients needs, hopes and personal ideals, not with any preferences and prejudices of our own. Our highly creative design team has the capacity to handle a wide range of projects for private and commercial clients. Including but not limited to, residential gardens, commercial spaces and special event installations. As a result of the high calibre of our design output, our projects are featured regularly in many major lifestyle and gardening magazines, national newspapers and have won national design awards. We can be as involved in your project as you would like us to be – from simple pot and plant styling packages to a detailed garden where we document your garden and project manage the installation – it’s up to you. We love the opportunity to be involved in a project from inception to completion, we feel this maintains design integrity and ensures your project is built to our high standards.  Below is a brief outline of the different levels of service we can provide. 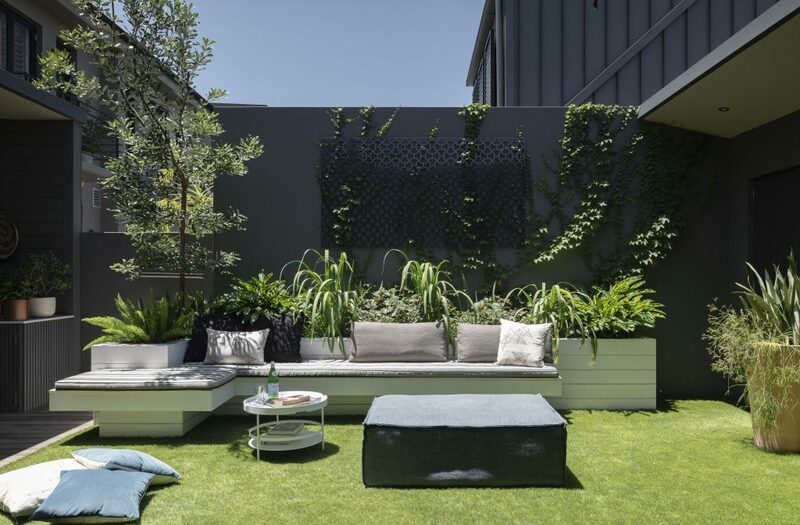 The Styling Package is targeted towards smaller spaces such as balconies and paved inner city courtyards needing an aesthetic update – usually incorporating Garden Life’s unique range of pots and accessories. 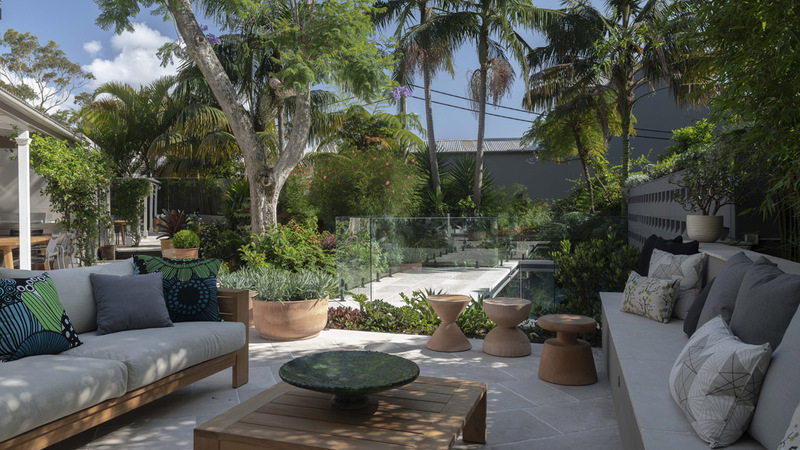 It is a great way to rejuvenate your outdoor space with pot, plant and furniture selections and layout. The Styling Package includes an on-site consultation where we attend your property, measure up your space and get a good understanding of the aspect and site constraints. Following the site visit, the designer will prepare a layout plan which will provide location and specification of plants, pots and other design elements like furniture. The layout plan is supported by a sample-board with imagery of all the suggested elements. We will then present this to you in our shop space, along with detailed costing for supply and installation. 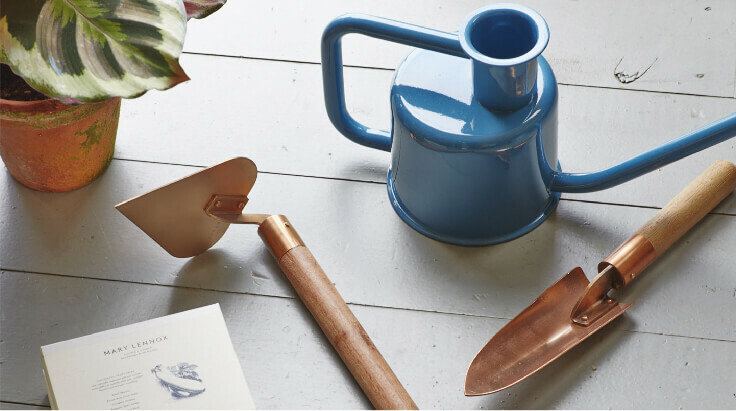 Garden Life pots & plants are available to styling package clients at a 15% discount (from our RRP). Styling Package from $990.00 (incl.GST) includes one on-site consultation. Do you already have nicely defined garden edges and/or planters, but find your plants are not performing? Perhaps you need a detailed planting scheme prepared by our qualified designers/horticulturalists. Our talented team can develop an innovative custom planting scheme for you, using plant material that will thrive and perform for you in the long term. The planting scheme includes an on-site consultation where we attend your property, measure up your space and get a good understanding of the aspect and site conditions. For larger spaces, we do require a scaled plan or survey from which to work from. Following the site visit, the designer will prepare a planting plan & plant schedule which will provide location and specification of plants. The planting plan is accompanied by a sample-board with imagery of all the suggested plant species. Planting Scheme starts from $2,200.00 (incl. GST) includes on-site consultation. The preliminary design meeting is an opportunity for our clients to meet with our design team and develop an initial rapport. The visit allows for in-depth discussions about what you want to achieve in your space, as well as a chance for the team to analyse the project heroes and constraints. This meeting is crucial to develop a good understanding of the scope of works that you would like us to help you with. Following this meeting, our team will prepare a design fee proposal based on your agreed scope of works for your approval. Meeting duration runs up to 1 hour. Preliminary Design Meeting – $300.00(incl GST) deducted from our design fees if you choose to proceed with our design services. The detailed concept design is where we combine your requirements and desires, with our creativity, to develop a functional, enduring and aesthetic design solution for your garden. We approach each project with fresh eyes, spending time familiarising ourselves with the site conditions, getting to know your likes, dislikes, ideas for the space and practical requirements. After we have collected this information we will create a unique concept design for your space, addressing the requirements addressed above. The concept plan includes a plan of your garden, sections and elevations, sample-boards illustrating design elements, plant material and design intent. If council approval is required, an application is prepared once the Concept Plan is completed and approved by you. 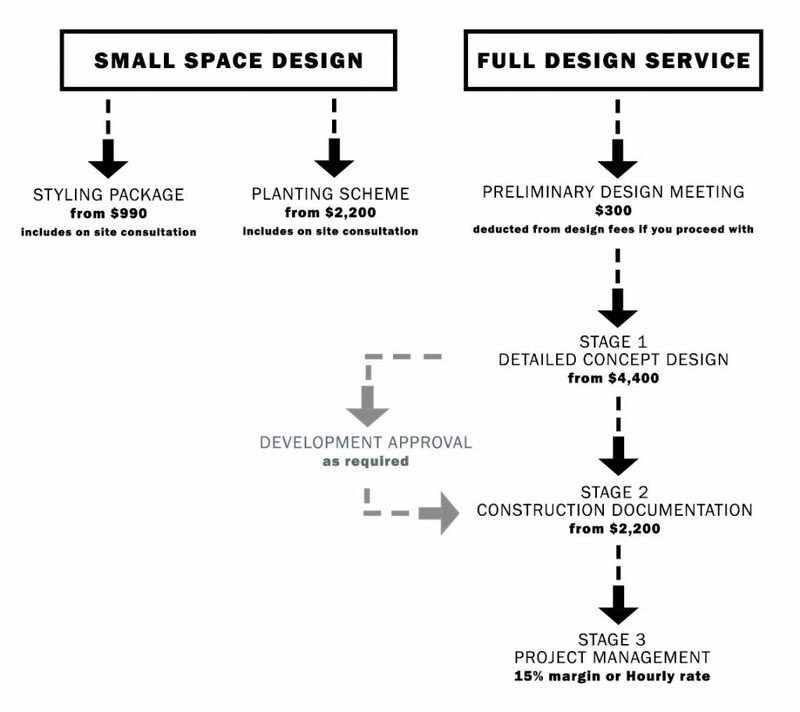 The landscape plan for council submission is usually costed as a separate item in addition to the concept design fee. Our team of qualified Landscape Designers and Architects can prepare documents for DA and CDC applications as required. Garden Life have practised knowledge of the Exempt and Complying Development Codes and extensive knowledge of Council Development Control Plans, Local Environmental Plans, SEPP’s and processes. We can work alongside your Project Architect to prepare a landscape plan to accompany house plans or we can prepare entire applications for separate landscape development proposals. This is where the fun begins! Garden Life’s team of designers, horticulturalists and project managers can work together to bring the design to life. We can undertake all softscape installation, plant supply and product installation, and can organise sub-contractors to complete other works as required. Following installation, should you prefer to not look after your garden yourself, Garden Life can suggest a number of maintenance services which you can employ to ensure the garden develops to its full potential. Be sure to chat with us about this at the end of your installation for more information. Tell us about yourself and your project and we’ll get in touch to arrange a catch-up. Are you working with an architect or interior designer? Do you require a landscape plan for council development application approval?